Anyone order the After Burner soundtrack from Data Discs? This is the first I've heard of these Data Discs. Just googled it and I'm seriously tempted to order the Revenge of Shinobi soundtrack . I was lucky and got one of the 50 signed by Yuzo Koshiro! Got several of the others too, Golden Axe, Streets of Rage 1 and 2, Sonic Mania and Shinobi III. My first vinyl was Shenmue, pretty good stuff. 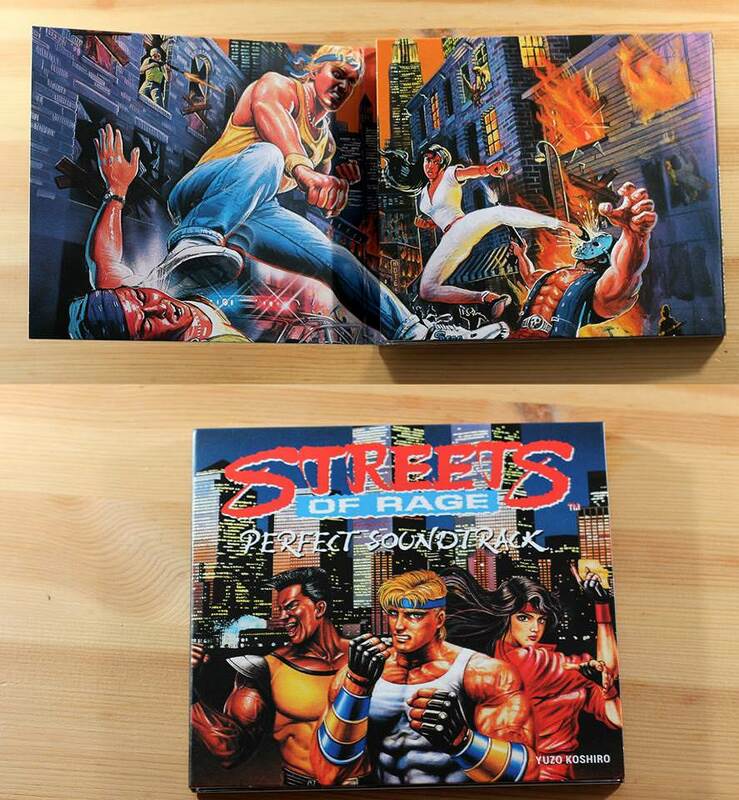 Talking about Yuzo Koshiro, just received the "Perfect Soundtrack" version of Streets of Rage. Quite a nice haul this week - Judas Priest's "Firepower", the three latest instalments in the "I Love Acid" series, and the score to "The Last Jedi". Yeah I got one. Great sounding package for a soundtrack that’s not huge. Steve Vai, Passion and Warfare (2013 repress) - one of the coolest cover designs ever and one of the coolest albums ever; glad to finally have it on vinyl. Scissor Sisters debut album (2014 repress) - never knew this was released on vinyl until about a week ago when they had an original press in my local charity book and music shop; they wanted £20 for a record of dubious condition without any warranty so I decided to hold out for a repress (which they said didn't exist) and guess what I found after a quick look on Amazon? Nirvana, Bleach (2009 repress) - nothing particularly exciting about this one (straight off the rack from HMV) but £15 for a remaster from the original tapes isn't a bad deal; the only Nirvana I'm missing now is In Utero and I'll wait for HMV to put it on special offer. Stevie Wonder, Hotter Than July (2017 repress) - got this for £13 in the reduction section of my local indie record store; known and loved the album on CD for years and glad to snap it up at the right price on vinyl. Elvis Costello and the Attractions, Goodbye Cruel World (2015 repress) - £10 from the reduced bin and the first EC album I've bought (apart from a greatest hits comp on CD); didn't know a single song from the track list but when I first played it I certainly wasn't disappointed. Data Discs, Revenge of Shinobi - mentioned an interest in this before and it didn't take long for me to make it happen. Data Discs, Space Harrier (pre-order) - just got the e-mail for this and quickly snapped it up. Coming Soon by Le Matos - double LP synthwave masterpiece, shipped from Canada. Public Image Limited Concert, another double recorded at Brixton Academy in 1986. RSD release. Be More Kind by Frank Turner on clear vinyl plus a new cart, stylus and headshell for my Gemini XL300 turntable. Exquisite. Does anyone here own a holographic Vinyl LP? I have this album. The music is good too. In order to access all the features on the record, you need a TT with a manual tonearm and support for 78RPM.